Posted by Will Thomas in EWP Book Club, Ideology of Science. The main source for my last post, Morris Berman’s Social Change and Scientific Organization: The Royal Institution, 1799-1844 (1978), is a very good example of a post-Marxist social history of science. The historiographical tradition of the social history of science will benefit from some reflection, because it has been eclipsed for a quarter century, though some of its basic strategies remain phenomenally influential. The key component, now largely missing, is the sustained analysis of how the direction of scientific research programs align with their social and economic milieu (though, of course, sources of patronage remain a subject of interest). Unsurprisingly, Marxism is a key methodological source for the social history of science. Traditionally, Marxist history of science maintained a narrow conceptual gap between general scientific inquiry and research related to technological development and industrial production. Marxist analysts — the crystallographer and intellectual J. D. Bernal (1901-1971) being a prime example — usually emphasized the historical connection between scientific research and capitalist and militaristic interests. Generally, they would not deny the importance of research pursued for intellectual interest, but they would view a self-imposed isolation of this research to be a bourgeois conceit. Eager to point out that fundamental advances and practical problems often feed off each other, Marxists urged that scientists should take an active, conscious interest in social and political problems. Since my interest in agricultural research focuses on the activities of the 20th-century British state, I didn’t really expect to return to Britain’s original Board of Agriculture (1793-1820). But then the head of our Centre here at Imperial, Andy Mendelsohn, showed up in my office a couple of weeks ago with Morris Berman’s Social Change and Scientific Organization: The Royal Institution, 1799-1844 (1978), which he thought might interest me. Not only is there some good agriculture-related material, but it intersects a number of different interests on this blog. The book is actually in itself an interesting case to study from a historiographical point of view, which will be the subject of a separate post. 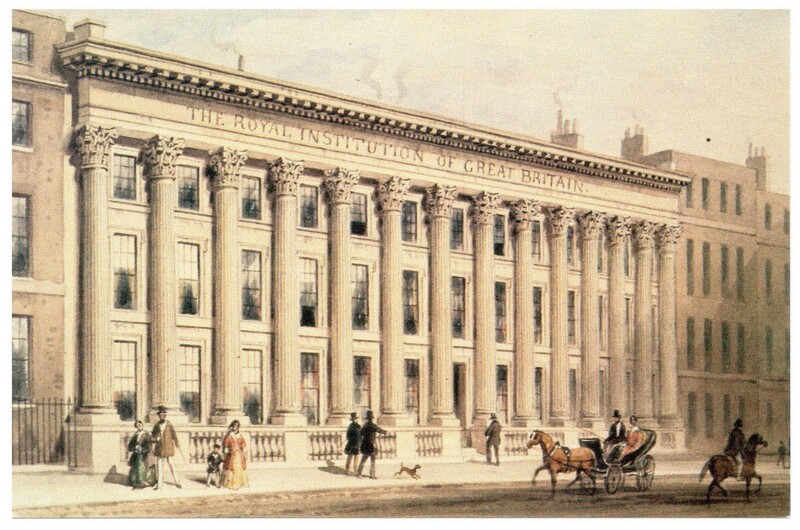 Berman shows quite nicely that the foundation of the Royal Institution (RI) in 1799 was part and parcel of the late 18th-century enthusiasm for estate improvement and philanthropy. As he argues, “It is not customary to see the RI, the SBCP [Society for Bettering the Condition of the Poor, est. 1796], and the Board of Agriculture as a triad, but it was the same set of social and economic developments that brought them into being and gave them a similar, if not common agenda; and it was roughly the same group of men who sat on their governing boards” (2). “States of Mind: Enlightenment and Natural Philosophy,” in The Languages of Psyche: Mind and Body in Enlightenment Thought, ed. G. S. Rousseau, 1990, pp. 233-290. “Genius in Romantic Natural Philosophy,” in Romanticism and the Sciences, ed. Andrew Cunningham and Nicholas Jardine, 1990, pp. 82-98. It makes comparison with some related points in Jan Golinski’s book Science as Public Culture: Chemistry and Enlightenment in Britain, 1760-1820, 1992. Unlike the last post integrating Schaffer’s and Golinski’s analysis of eudiometry, this one distinguishes the (complementary) positions of the two authors. Since his earliest pieces (especially his 1983 piece on natural philosophy and spectacle), Schaffer had been exploring the tensions between natural philosophical inquiry and the forces leading to professionalized specialties. In pieces circa 1990, Schaffer further explored the relationship between enlightenment political ideals—which stressed rational assent as a path away from enthusiasm and despotism toward a proper polity—and natural philosophy and the political pressures it created and to which it was subjected. 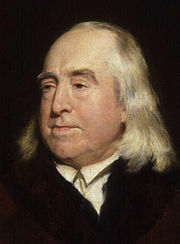 In “States of Mind”, in a move not unlike his and Steven Shapin’s analysis of Hobbes’ critique of experimental philosophy, Schaffer stresses objections, particularly that of Edmund Burke (1729-1797) that the politics of rational assent proffered by people like Joseph Priestley (1733-1804) simply cloaked alternative religion-like claims to political authority.